Treasurescapes is a Professional Landscape Design and Installation company. We can help create your outdoor lifestyle from concept to completion. 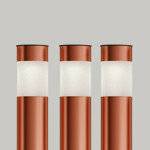 We guarantee our work to ensure a value driven, professional design/build service. We find innovative solutions to create the landscape and/or hardscape that works for your property and within your budget. Ken Thornsbury is the President and Owner of Treasurescapes Inc. He has been working in Palm Beach, Broward and Martin Counties for over 30 years, producing award-winning projects. The scope of his work has included custom residential, shopping centers, office buildings and community entrances. Ken’s experience in designing new residential landscapes as well as renovating existing homes is unsurpassed. Landscape design and installation has been and still is a passionate desire in his life. By using the study of art, he uses the total property as a canvas. Ken is a master at creating value in the landscape by using special expertise in all aspects of Landscape design and installation. Ken has always believed his team is one of the best in the industry. He would honor the time to prove it to all his new clients. Pamela Crawford is an award-winning, nationally known landscape designer & author of ten best-selling gardening books. 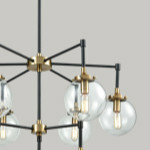 Her beautiful designs are routinely covered by newspapers & national magazines. Pamela Crawford is an award-winning, nationally known landscape designer who specializes in spectacular color. She is the author of 11 best-selling gardening books. Her company designs and installs colorful landscapes and outdoor living areas (including furniture, pools, outdoor kitchens and accessories) for homeowners of luxury residences. Pamela has a Masters Degree in Landscape Architecture, a post-graduate four year degree. She has been trained to work with all landscape styles that are suitable for the structure. Her goal is to 'get inside her client's heads' so to speak - to design a landscape that will make them smile! 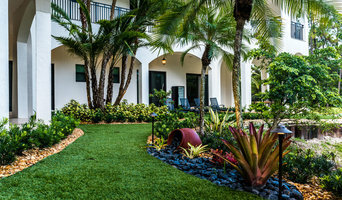 For nearly two decades Broward Landscape has designed and landscaped South Florida’s most lush and luxurious spaces, providing service in consulting, design, installation, and maintenance. Our goal is to create the highest quality, most beautiful designs that express the clients personality and style. We help our clients bring their visions and dreams for their outdoors to life. We strive in creating elegant, yet comfortable outdoor living spaces. 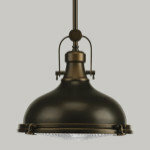 Our designs maintain their integrity for many years. A well planned landscape will add long lasting beauty and value to your home. Matthew Giampietro, the primary designer, holds a degree in Landscape Architecture, as well as a degree in Horticulture; with over 25 years in the landscaping industry, Matt began working for his family owned landscape and nursery business in Connecticut. There, Matt and his father Donald, developed a reputation for designing and building award winning projects throughout Connecticut. Matt also lived in Kyoto, Japan where he immersed himself in the art of designing rock waterfalls. After opportunities to design water features in South Florida, Matt decided to relocate to Florida in 2003, and has designed and constructed many landscapes and water features for residences and public spaces. In the design process we blend the clients style, the surroundings, and the architecture, within the projected budget. Michael Flaugh, Landscape Architect, P.L. As a Florida native and graduate of the University of Florida, Mike's design work is a reflection of his experience and passion. His influence comes from both local knowledge and extensive travel. At Zito Landscape Design, we pride ourselves on pairing beautiful landscape designs with flawless execution and peerless customer service. We know how important your home and garden are to you, and we’ll work with you to create a striking landscape that will bring you, your family, and your friends many years of relaxation and pleasure. With close consultation, detailed planning, and plenty of imagination, we’ll help you bring your landscape dreams to life. At Zito Landscape Design Inc., we are so much more than just a landscaping company with 43 years of experience. We are a full-service design firm, providing everything from conceptual drawings to full plantings and hardscape installations throughout Southern Florida including Ft. Lauderdale and Miami. We pride ourselves in selecting exceptionally talented, formally trained designers from some of the nation’s leading landscape architecture programs including the University of Florida and the prestigious Cornell University of New York. In addition to being talented artists, our associates are certified in environmental studies and arboriculture. Each member of our team is hand selected for their extensive knowledge of South Floridian species and habitats to ensure that your property is sustainable as well as beautiful. At Botanical Visions, we have a passion for landscape design and horticulture, creating eye-catching and environmentally-sound landscapes that compliment the surrounding architecture. We can help create your outdoor lifestyle from concept to completion. 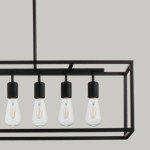 We guarantee our work to ensure a value driven, professional design/build service. With seventeen years of experience in resort, residential, commercial and retail design and offices in United States and Costa Rica no project is out of reach. Experienced personnel, courteous and professional service, and the determination to produce only the most inviting of places, Urban Design South can merge talents from a variety of disciplines into one cohesive design team. Experience has proven that the client is the most important leader in every project, therefore principal contact with the client is maintained throughout each project to protect the client's investments. In addition, dialogues between consultants and the client are maintained throughout the project development to ensure the client is achieving success. Urban Design South designs emphasize the enjoyment for patrons by joining differential experiences and sensual excitement all in a holistic approach to site development. Understanding that aesthetics involve all elements from architecture to landscape to lighting and use of water and views, Urban Design South design approach stems from the perception of the in-the-moment experience. By utilizing all of the human senses and perceptions, intriguing the subconscious, and stimulating the conscious, designs come alive. Our clientele's satisfaction drives us to excel beyond contractual obligations and produces memorable and enjoyable experiences for everyone. We understand that without our clients, we would not have the opportunities to express our talents. For nearly two decades Broward Landscape has designed and landscaped South Florida’s most lush and luxurious spaces, providing service in consulting, design, installation, and maintenance. We are an experienced specialist that provides complete outdoor living spaces to compliment your landscape design. We service areas from Palm Bay to the Florida Keys. Our passions to design, install, and maintain properties are clearly visible in our workmanship today. We apply this mantra to all of our commercial and residential sectors. We believe people see passion. Our goal is to provide you with that same passion you share for your own project. Since 1984 KWD has been providing landscape architecture design services to the areas most discerning clientele. We pride ourselves on creating innovative designs for master planned communities, resorts, commercial parks, private estates and luxury homes. KWD’s work extends from their base in South Florida to California, Texas, North Carolina, the Caribbean, Mexico, and the Middle East. The Firm is equally proud of its many longstanding client relationships that are based on the quality of services rendered and the dedication to continued performance. Located in the revitalized downtown of Delray Beach, Florida, KWD blends the natural and social sciences of Landscape Architecture with the desire to provide creative, imaginative, customized solutions that transport our clients’ visions to life. KWD is an award winning landscape architecture firm with a design discipline that is well known for its close attention to detail; it is in the details that the most imaginative conceptual designs are transformed to a reality that create value and a sense of identity. Please contact the office via telephone to learn more about KWD's design services. Seaboard Lawn & Landscape has been serving Boca Raton, Delray Beach and Highland Beach's need for the highest quality standard of landscaping and lawn maintenance since 1959. We are very proud of our reputation of producing the very finest work. Some of the most distinctive and exclusive homes and estates are in our portfolio ... the vast majority being located along the Ocean, Royal Palm Yacht & Country Club, The Sanctuary, as well as other high profile communities. We attribute our growing success to our dedication to customer service, work ethic and highly trained employees. This has resulted from many recommendations from our customers who appreciate attention to detail. Jaguar Garden Designs is a team of European and South Florida trained Landscape Artists sharing their Expertise providing customized solutions for New Landscape installations and Yard Remodeling . Having been performing numerous exquisite Landscape installations in the US and Europe for more than 25 years, Jaguar Garden Designs is now primarily serving fine homes and estates in the Palm Beaches and Broward. Customized maintenance programs are available. Landscaping is a vital element in the overall appearance of your property or business. A well-designed landscape not only enhances the way you look at your investment but it can significantly increase the value of your property as well. Creativity and quality are two of the most important aspects to consider when choosing a landscape company. Plantaysia can help to create great outdoor spaces, uniting the environment with the indoors in a harmonious fashion. Experienced in South Florida’s unique aesthetic and climate, we proud to design distinctive elements that creatively enhance the natural landscape and offer an environment tailored to the needs of our clients and their properties. 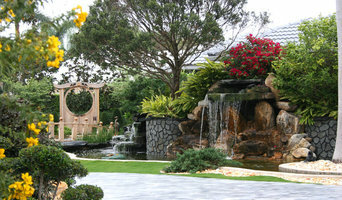 Plantaysia is Florida’s foremost full-service landscape design firm. We’re intimately and actively involved in projects from inception to completion, ensuring that your design is carefully executed and installed. 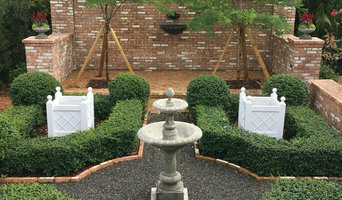 Landscape Solutions LLC is a full-service, Concierge Style Landscape Company. 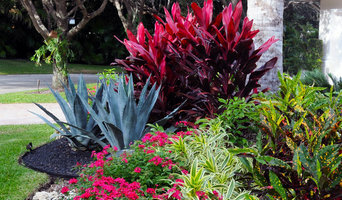 We specialize in Full Landscape design, install, and The Best Landscape and Estate Maintenance in PBC! Our service area includes Stuart to Boca Raton. We are licensed and insured, and we always guarantee our work. If you have a question, or require more information, Please call, text, or email us any day, any time! We are driven by pursuit of our mission, and driven by core values of innovation, collaboration, optimism and respect for those we work with. We are made up of individuals who are highly knowledgeable in their chosen fields who come together to create a strong multidisciplinary team. Customer service is our priority. Let us know how we can be of service to you! We will do everything we can to make your project run smoother. Our experienced staff is available to assist you in product selection and can help you with all aspects of your construction project. Professional landscaping anchors a house to the site, connects it with the environment and creates a welcoming entrance to a home. A Highland Beach landscape architect or designer works with living plants as well as building materials to design for future growth and maintenance as well as the present visual appeal. Landscape architecture is very regional, so look for a landscape designer in Highland Beach, FL that’s familiar with the local climate and plant types that do well there. Start here to learn more about the landscaping services in Highland Beach, FL that will help create your dream garden. The work of this outdoor professional includes most everything surrounding a home's exterior. A landscaping architect can even work with the home architect to choose the right spot for your Highland Beach, FL house. From there the Highland Beach landscaper will develop preliminary concepts for your front or backyard design based on individual needs including the climate and activities that will take place, as well as layouts and planting plans. Landscape architects will also design any structures or outbuildings that will be added to the space. Any grading changes that will be added to the yard are also the responsibility of the architect. This includes any drainage modifications. An engineer can also be responsible for these tasks, but licensed Florida landscapers are fully capable. Like building architects, they will produce preliminary concept drawings as well as detailed construction documents and planting plans. Three-dimensional renderings and illustrative plans are all supplementary. A Highland Beach landscaping designer generally will have ecological, aesthetic and technical training, which helps them maximize the potential of your outdoor space. Keeping in mind both style and functionality, garden designers analyze your architecture and yard to produce a plan that may or may not include location and materials for walkways, patios, water features, fences, garden aspects and more. In addition, a landscaper in Highland Beach, FL will carefully assess your geographic region to choose plants, trees and flowers that will flourish naturally, as well as address concerns such as drainage, screening and soil conditions. Certain landscape designers only help with the planning portion, while some may deliver the plans and then oversee a hired landscaping contractor. Others — typically following a design-build approach — take care of both the design and all aspects of the landscape architecture and construction. Before you hire a Florida professional landscaper, consider the scope and emphasis of your outdoor project. Landscape architects, who typically hold advanced degrees in their field, are trained to develop comprehensive structural plans that include plants, hardscaping, water use, drainage and more. Landscape designers typically specialize in the aesthetic and horticultural, rather than structural, side of yard and garden planning. They might or might not have advanced training. Even within their fields, a garden designer may specialize in hardscape- or vegetation-focused designs. In some cases you might need to hire additional help to get the outdoor space you want. Here are some related professionals and vendors to complement the work of landscape architects & landscape designers: Landscape Contractors, Garden & Landscape Supplies, Tree Services, Gardeners, Lawn Care & Sprinklers, Decks, Patios & Outdoor Enclosures. Find a Highland Beach landscape architect on Houzz. Narrow your search in the Professionals section of the website to Highland Beach, FL landscape architects and designers. You can also look through Highland Beach, FL photos to find a space you like, then contact the professional who posted the photo.